We are proud and happy to announce that Dr Maria Boletsi, Professor of Modern Greek Studies of “Marilena Laskaridis Chair” at the University of Amsterdam gave her inaugurating speech, “The Futurity of Things Past: Thinking Greece Beyond Crisis”, on Friday 21 September 2018. 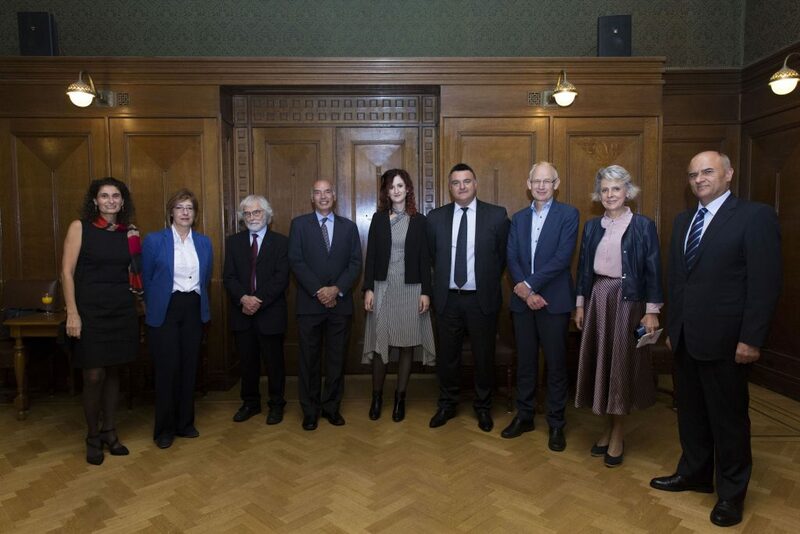 The Marilena Laskaridis Endowed Chair was established by the Dutch Society of Modern Greek Studies, a foundation that promotes research and education of Modern Greek language, literature, history and culture in the widest sense. The chair is chiefly financed by the Aikaterini Laskaridis Foundation, which aims to promote Greek arts and letters in Greece and abroad. The Chair bears the name of the late Marilena Laskaridis, former Vice-President of the Foundation, and it is “the only chair of Modern Greek Studies in Europe and the US named after a woman”, as Dr. Boletsi mentioned in her speech. The Ministry of Education and Culture of the Republic of Cyprus, as well as the Dutch Society of Modern Greek Studies, also contribute to the chair’s funding. 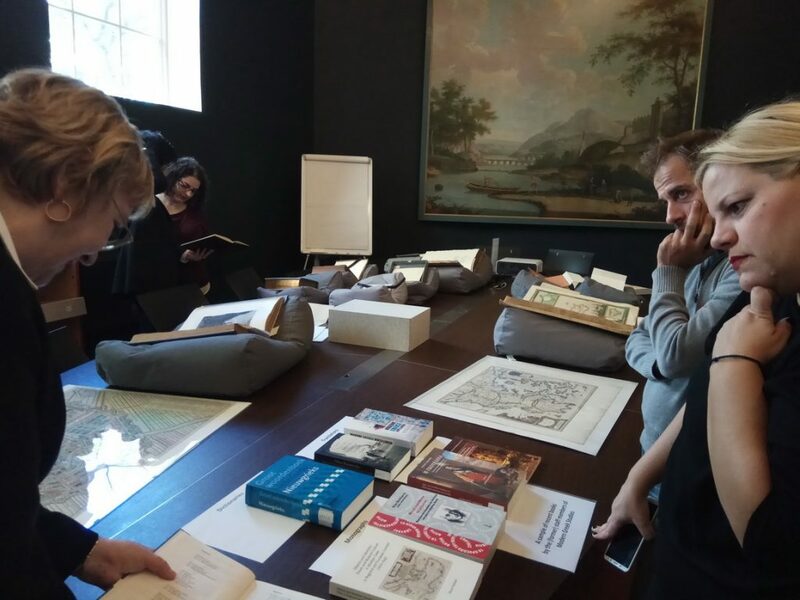 As part of the Chair’s support, the Aikaterini Laskaridis Foundation will also offer one (1) to two (2) fellowships every year for visiting researchers at the University of Amsterdam aiming at the promotion of research in the field of Modern Greek Studies. 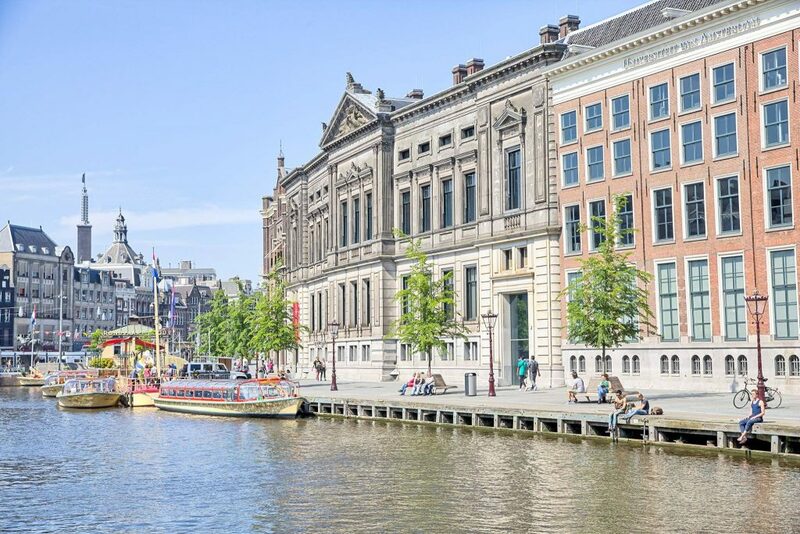 The University of Amsterdam is the largest academic institution in the Netherlads and is historicaly linked with Greek intellect. 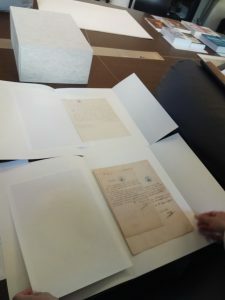 The precious archive of Adamantios Korais, a leading figure of Greek Illumination, is kept in the University’s library. Moreover the Department of Byzantine and Modern Greek Studies is producing for decades work of great scientific value. The Marilena Laskaridis Chair of Modern Greek Studies at the University of Amsterdam is one of the few in its kind in Western Europe. The Ambassador of Greece to the Kingdom of the Netherlands, Mr. Dimitris Chronopoulos, delivered the speech of H.E. the President of the Hellenic Republic Mr. Prokopios Pavlopoulos, στον οποίο εξήρε την προσφορά της ελληνικής γλώσσας και παιδείας στη θεμελίωση της ευρωπαϊκής παιδείας και επιστήμης. The inauguration speech was attended by Professor Dr. Karen Maex, Rector Magnificus of the University of Amsterdam,Professor Dr. Fred Weerman, Dean of the Faculty of Humanities, Mr. Elpidoforos Economou Ambassador of the Republic of Cyprus to the Kingdom of the Netherlands, as well as a delegation from the Aikaterini Laskaridis Foundation, consisted of the General Director of the Foundation Mr. Konstantinos Mazarakis Ainian and distinguished members of the Foundation’s Scientific Committee such as Professor Emeritus of Athen’s University Leonidas Resvanis, Assoc. Professor Konstantin Aravossis at the National Technical University of Athens and Mrs Despoina Stratigi, historian. The central argument of Dr. Boletsi’s inaugural speech was the financial crisis in Greece, which has changed the way people experience the present and narrowed their view of the future. Nonetheless, recent Greek literary and artistic works do also include innovative attempts to transforms the crisis into a critical approach to the past and present and open up the future for multiple visions and perspectives. 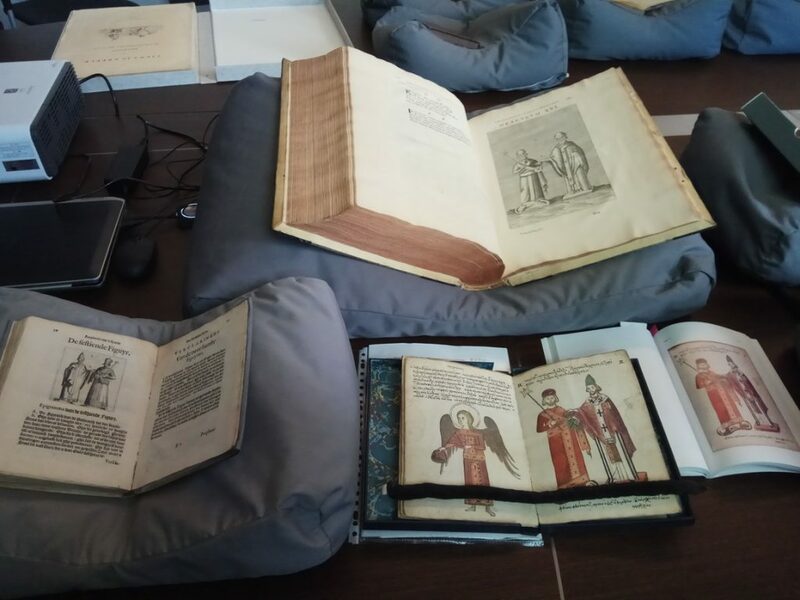 Part of the Foundation’s delegations visited the reknown library of the University of Amsterdam, where the archive of Adamantios Korais is kept. Drs. 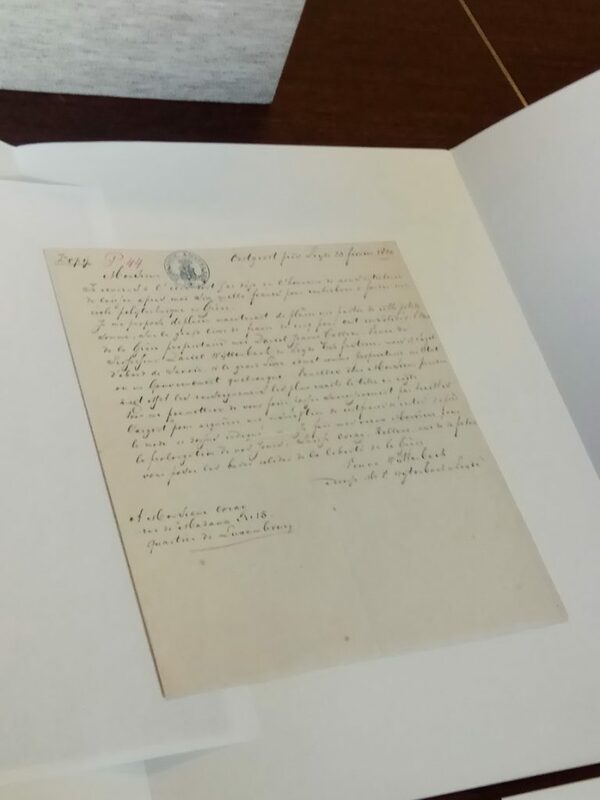 Astrid Balsem of the Library’s Special Collections department, presented a selections of manuscripts and books from these collections, and Drs. Ewa Zakrzewska showed contemporary editions of the members of the Modern Greek Studies’ Department.